Owner is highly motivated to sell and had just reduced the price to an all time low. $149,000 and that includes a Full Liquor License which have recently sold in El Dorado County for $85,000. We present this unique opportunity to own and operate one of Tahoe's Sports Bars on a major thoroughfare. This is an Asset sale, combined with a valuable El Dorado Full Liquor License and many years of goodwill. The interior of this business is all wood finished and shows beautifully. Take a look at the photos and you'll fall in love with this bar. You've got to see it! LOCATION: Situated on the main Hwy, at the entrance to South lake Tahoe, less than 4 miles from the Casino's and scheduled new Convention Center at the State line Nevada, South Lake Tahoe, California. This unique Sports Bar and Grill sits in a free standing building. REAL ESTATE: You can also buy the real estate for this business for an additional $800,000. LEASE TERMS: The fantastic lease terms make this restaurant and bar opportunity one of the best you’ll find in this market. Total monthly rent is only $3,200 for 4,500 total usable square feet. Folks!! THAT’S less than $1.00 per square foot. Not only is that amazing monthly rent, the lease terms get even better. The monthly rent is FIXED at this rate and increases ONLY by 3% or the consumer price index. Let’s be honest. Most landlord’s charge what feels like an arm and leg for rent in South Lake Tahoe. This restaurant’s incredible lease terms make it Extremely possible to make a profit. Many upgrades were completed in 2007 with around $50k spent on the remodel. HISTORY: Buy the existing Sports Bars long standing reputation, concept, recipes, lease terms, furniture, fixtures, equipment, and Full Liquor License OR bring Your Own concept and take advantage of the fantastic lease terms, furniture, fixtures, equipment. FINANCIAL PERFORMANCE: The seller has shared that the monthly sales are quite consistent. The Seller will gladly discuss the monthly sales averages and expenses with a serious buyer. The Seller has stated that the business was extremely strong in previous years prior to the downturn in the economy. This is a great indication this will repeat with increased stability in the economy. The many wedding receptions and private parties in Lake Tahoe could be captivated utilizing the Garden area. This would make a great live music nightspot for the locals and tourists alike and has an intimate club like feel. LIQUOR LICENSE: An El Dorado County, type 47 Full Liquor License is included with the sale as are all the assests, fixtures and fittings. These liquor licenses alone have sold for around $85,000 recently. Therefore the price being asked is extremely Lowl for a quick sale. HOUR OF OPERATION: Presently the Bar is open for limited hours. There is huge scope to increase business by opening for Lunch and Dinner, seven days a week, especially in this Tourist location. 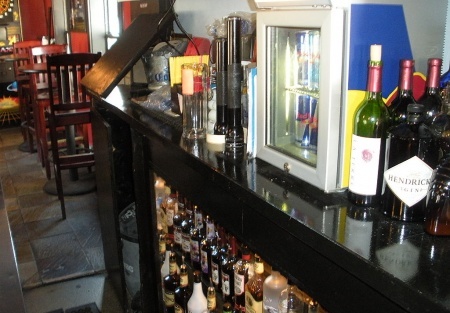 REASON FOR SELLING: The Seller has many outside business interests and in 2010 was totally absentee This your opportunity to own and run your very own Bar in Lake Tahoe California. Limited at present as owner is absentee.